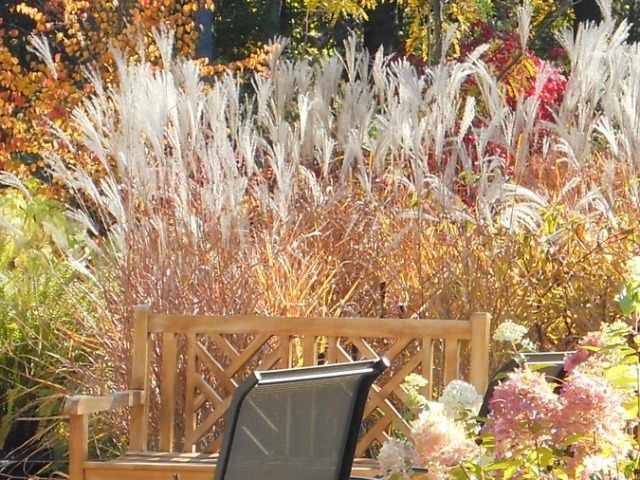 Grasses are easy maintenance because most are drought tolerant , they do not have to be fussed with during the summer and there is nothing to do for Fall clean-up. 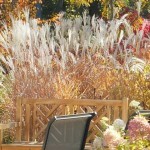 You can enjoy the change of color of the blade, seed heads or plumes in the Fall and in the Winter they add an interesting visual to the winter landscape. I enjoy the sound of the wind in the grasses and watching their movement, and how the sunlight catches the plumes. If you enjoy birds that is another plus as they are attracted to this plant for food and protection during the cold months. 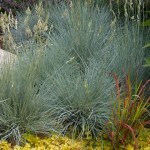 In the Spring grasses should be cut about 2”-4” from the ground. There is a few exceptions. 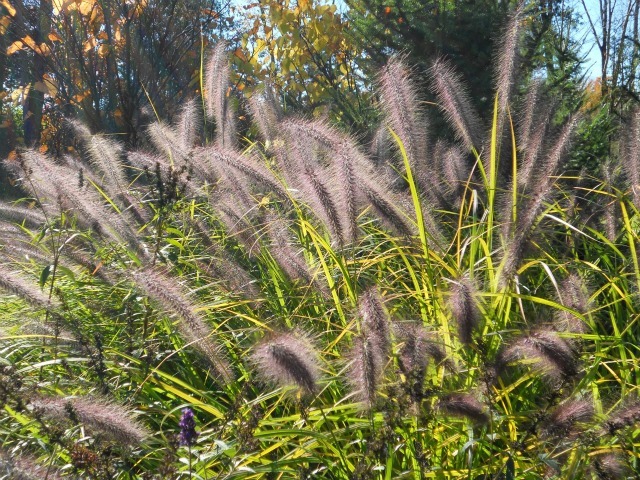 Most grasses ideally like about 6 hours of sunlight but there is some that tolerate shade such as Japanese Forest Grass. This type is a perfect addition for your shade garden, as it can be added as a border and also pairs well with Hosta’s and Heucheras. I like to plant grasses in groupings that are under 5’ tall. 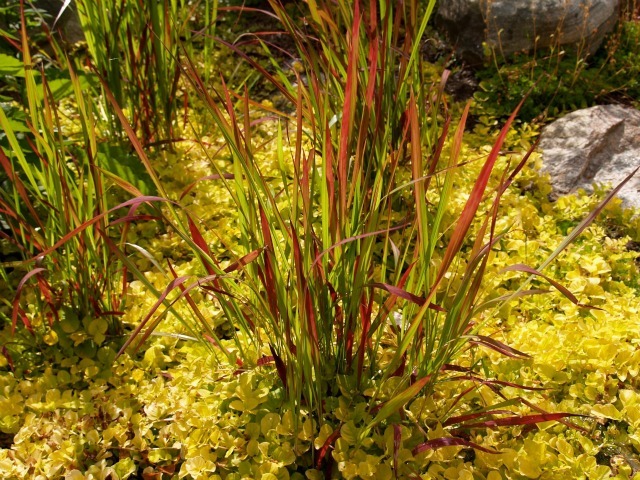 A mass planting adds impact to your garden if you are using one type . You can also do a mass planting using many varieties starting with small at the front graduating to tallest at the back . 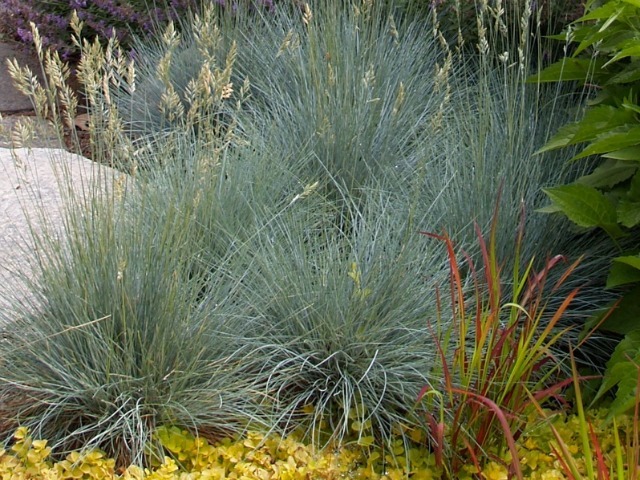 There is also spectacular grasses that are 6’ tall plus that can be used as a specimen or focal point in your garden or as a privacy screen. Make sure you read the info plant tag and talk to your garden centre expert to make sure you have bought the right grass for the area you want to use it . Some can be aggressive and need to be contained by a barrier but can be an asset in areas where soil erosion control is needed. There is so many varieties to choose from ranging from 10” to over 10’. Shapes range from mounded habit to upright vase , upright dense clumps to graceful arching foliage. 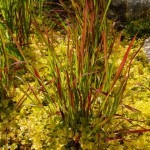 Grass color ranges from bold colors with bright yellow bands to powder blue, bright red, lime green to variegated edges. 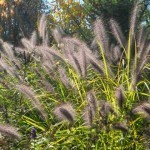 Keene On Gardens carries over 30 varieties of Ornamental Grasses so there is lots to choose from. Come have a look, talk to us and we will find the perfect grass for your garden.